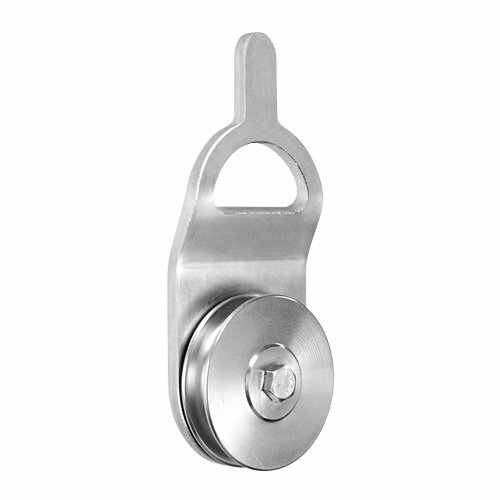 Made of steel, it is shock-resistant and may be used together with the automatic release (PCA-1291). The sheave is smooth with no sharp edges and will not damage the rope, and at 4" in diameter, it offers good overall performance for ropes 1/4" - 1/2" in diameter. 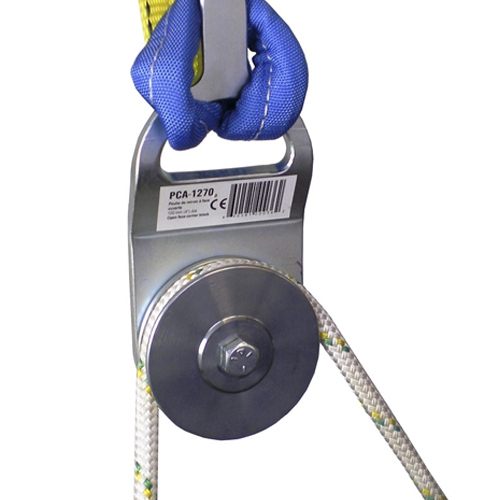 Because the sheave is made of steel, it can also be used with wire rope/cable. As pictured, it can easily be attached to a tree using a polyester sling (sold separately).